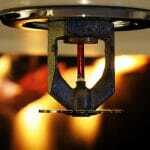 Home » IS YOUR FIRE SUPPRESSION SYSTEM OUTDATED? What is that smoky smell? You open the door to the hallway and see the fire. How are you going to get out? Why didn’t the fire alarm sound? Don’t let this happen to you. Inspect your fire suppression system routinely. In order to work properly, clean agent fire suppression systems must be properly installed and regularly inspected. Without regular maintenance, you never know how well your fire suppression system will react in the event of a fire. 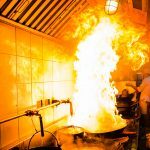 In fact, having a poorly maintained fire suppression system can be worse than not having one at all, as it may trick you into falsely believing you are protected. Your fire suppression system (hopefully) gets used very rarely – if ever. As a result of sitting idle for so long, different components may wear out and not be able to activate when you need them. Regular fire suppression system inspections will prevent this type of damage from occurring and help ensure your system will be reliable. Whenever the building changes hands – if you have recently moved into a new facility, or if you have become the facility manager of a business, it helps to have a fire suppression system inspection as soon as possible. Today – if you don’t remember the last time you had your fire suppression system inspected. An outdated fire suppression system poses a major safety hazard to everyone and everything in your building. A properly inspected and tested fire suppression system is the single most effective way to protect lives and property within your building. Regular fire suppression system inspections will ensure that your building, along with the people and any valuable equipment inside it, are protected from fires. Call Fire Control Systems for a fire suppression system inspection today.